Michael Marshall, who grew up in St. Louis, Missouri, is professor of art and chair of the art department at University of Hawaii Hilo. He has taught at UH Hilo since 1984 and has been actively engaged with a number of community organizations including the Volcano Art Center, East Hawai‘i Cultural Center, the Wailoa Center, the Ha‘aheo Soccer Club, Big Island Futbol Club, Hilo AYSO, and Our Downtown Hilo. He received his bachelor of fine arts in painting from the University of Illinois, Champaign-Urbana, and master of fine arts in painting from Yale. Marshall also is a nationally recognized artist. He was recently notified by the International Print Center New York that a recent work of his was selected by Shahzia Sikander (MacArthur Fellow, 2006) for New Prints 2012/Summer, the International Print Center New York’s 42nd New Prints show. 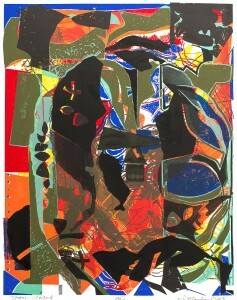 In the spring of 2012, Marshall had a solo exhibition at the Skoto Gallery in New York. The Skoto Gallery was established in 1992 as a space where some of the best works by African artists can be exhibited within the context of a diverse audience. 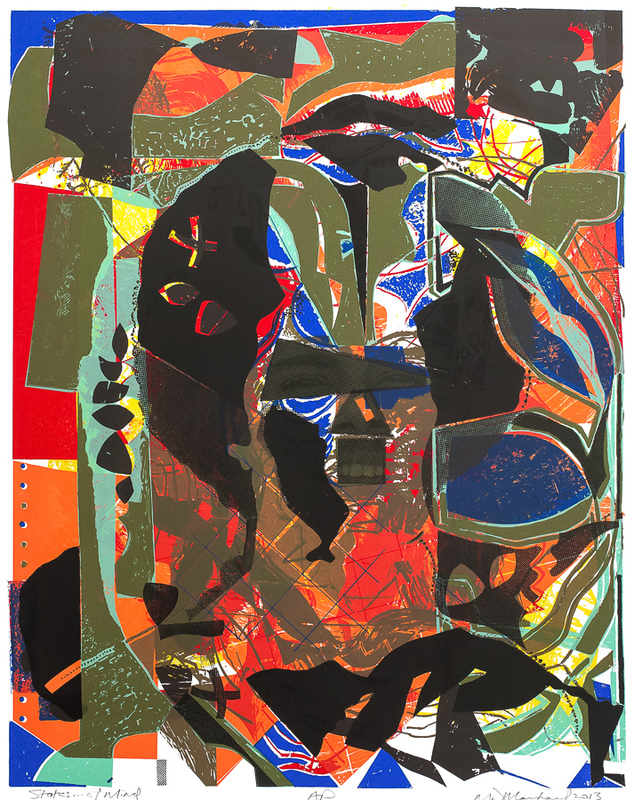 Michael Marshall’s recent monoprints are characterized by a carefully structured and organized rhythm of dynamic lines and organic forms, mastery of the nuances of color and composition, deep sensitivity to texture combined with a display of emotional intensity. A highly inventive and renowned artist who uses complex procedures with oil-based media and overlapping stencils in his paintings, he has consistently explored the expressive possibilities of abstraction in his encounter with history and global transformation over the past three decades. His work is dense with visual overload that reflects an awareness of a vast array of both formal and inherited traditions, and employs a rich vocabulary of signs and markers that speak boldly and clearly to a universal audience.